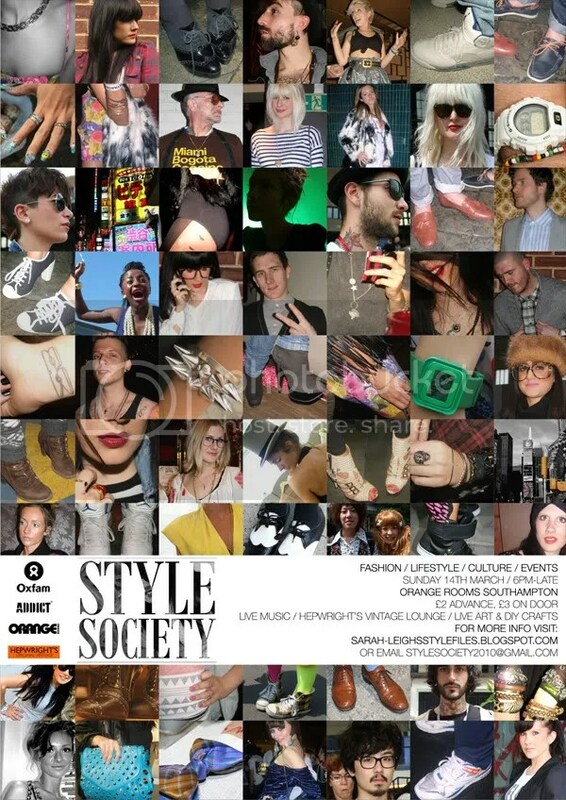 Sunday 14th March saw Style Society, a fashion and live music event put on by dear friend of the Fold Sarah Leigh, descend upon Orange Rooms, Southampton. Seeing as the night was such a success, we felt it necessary to have a quick chat with Sarah about the night – the highs, the lows and plans for the future. Just for the benefit of our readers, what exactly was Style Society? In a nutshell, Style Society was, and will be a bi-annual event created to enjoy the talent of Southampton’s local fashion brands and professionals, artists and musicians – to put all this creativity under one roof for an informal evening of networking and entertainment. What inspired you to put this event on in the first place? The concept came about when I started my blog; Sarah-Leigh’s Style Files. I’ve been working in the fashion industry for a few years now and wanted a space to document my day to day experiences, sights and give my opinion on things I’m passionate about. The blog has proved successful and I have found it a great platform to promote local fashion and design talent and to speak about up and coming names. It was this idea that lead me to think about putting an event on; to gather many of my friends and contacts together in one location and empower them to show off their skills to a live audience, promote themselves and have a really great time while they do it. Initially I discussed the idea with Sophie Penn, my friend and a Southampton-based writer and stylist, who was also looking to do something locally too to promote herself and the designers she regularly uses, and Style Society was born. What was the biggest highlight of the night for you? The highlight was seeing it all come together at about 7pm! We’d spent the whole day setting up Orange Rooms, the bar where the event was held, to house all of our exhibitors and entertainment, not to mention 4 months planning it all, and to see everyone in place and guests start arriving was so rewarding. It looked just how I’d imagined. What was the biggest headache you encountered? 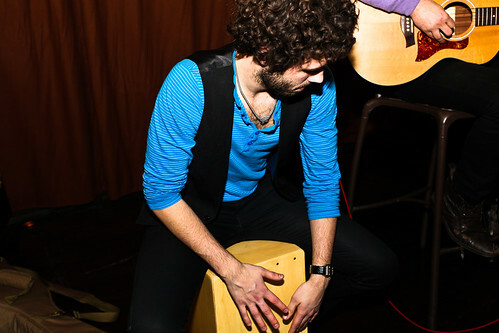 The biggest headache in the run-up to the event was the fact that it was on a Sunday, and Mothering Sunday to be exact! As far as promoting was concerned, we really had our work cut out, but this just meant that we ensured our event had something for everyone (Mums too), and that there was enough entertainment to ensure people stayed all night long! On the day space was a small headache, just because of the number of people involved, and we wanted to make sure everyone has a great location to promote their products or services. Room was a little tight, but it turned out fantastically! In hindsight, what would you choose to do differently, if anything? In hindsight, I would have been aware of the date of Mothering Sunday! Although the event was a huge success, it could have been one less thing to worry about! How well suited do you feel Southampton is as a city to hold events such as these? To be honest, Southampton has an unfair reputation of lacking creativity, but I wanted to prove that there is an underground scene here, with hoards of fantastic artists, singers, fashion designers and stores looking to spread their message and inspire others. In Solent University, we have a hotbed of creative talent emerging, and the event was just as much about promoting this as established organizations. 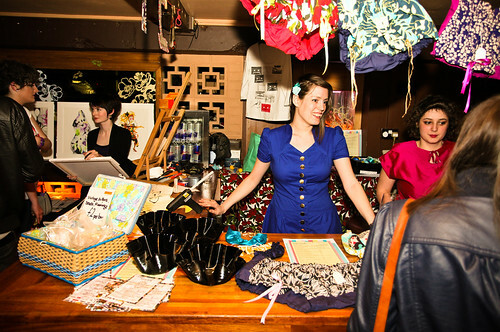 Style Society featured live art, illustrators, vintage boutiques, live music and DJs. If there is the possibility of a follow-up event sometime in the future, are there any other avenues you’d particularly like to explore? I would love to do another event, perhaps in the summer, so that we could have some of the entertainment outdoors – a fashion festival would be ideal!! Its early days, put I’ve got my planning hat back on already! I would love to include more designers, brands and bands who have now approached me, and really I think there’s room for all kinds of creative outlet – as long as it fits with the ethos of Style Society. How much money did you raise altogether? Where will it be going? On the night we raised around £900, which is just fantastic – I’m overwhelmed by the people who came out and supported the event. Donations are still pouring in this week, and so we look set to hit our £1000 goal. £1000 will aid Oxfam to build a classroom in one of the world’s poorest communities – I strongly support education, and this overall aim fitted perfectly with our support of promoting emerging individuals. What has the reaction been from the people that contributed on the night? Everyone I have spoke to, that was involved with the event has been so kind and generous following it, and have all offered their services for next time. I think we’ve found a fantastic set of people who have a lot in common and have proved to be quite a forceful collective! Any plans to put another event on in the future? Yes I thinks so, Sophie and I would love to repeat Style Society, and there are a few more charity and networking orientated events I’ve been asked to get involved with. This has been the first event I planned beginning to end, and let’s just say I’ve caught the bug – stay tuned to Sarah-Leigh’s Style Files for news! Visit Sarah’s blog for full coverage of the night! Southampton’s first fashion, design and music-specific event STYLE SOCIETY has tickets on sale now! Plus, the lovely Hepwright’s, with its myriad of fabulous vintage fare are offering 20% discount to anyone who buys their STYLE SOCIETY ticket in advance, just take your receipt to the showroom! Visit Orange Rooms website for advance tickets, and don’t forget to RSVP on the Facebook event page! The blog, Sarah-Leigh’s Style Files, presents the first of its eponymous events STYLE SOCIETY. The party aims to bring Southampton’s (and beyond!) creative minds together for an evening of music, drinks, dancing, creativity and to raise some much needed cash for Oxfam. From Solent’s Fashion and Design faculty, to our city’s designers, budding vintage enthusiasts and simply the downright trendy – all are welcome to Southampton’s very first fashion-dedicated evening. • Resident photographers will be snapping your outfits and asking all about them around the bar and in our photobooth. • Gallery areas and live art (from the likes of Iris Hill’s Lisa Jean) & DIY crafts, plus many an activity to get involved with! Not to mention a host of Oxfam’s vintage stock to rifle through! For more info email stylesociety2010@gmail.com. P.S. Pass on the time/date/place to your fabulous fashionista friends! All design artwork done by me! Make sure you get down there, gonna be a big night.